Sometimes we forget some of our special life events and their dates, especially men don’t remember. So they write them in their diaries or store somewhere else. But, still they only remember when the event is nearby or hear from others resulting in an unplanned event. However, it can also be planned in advance with a great enthusiasm if you already know about the event a few days back and start your countdown to reach those milestones. This can only be achieved and reminded by an app called “LifeTimes of Celebrations”. 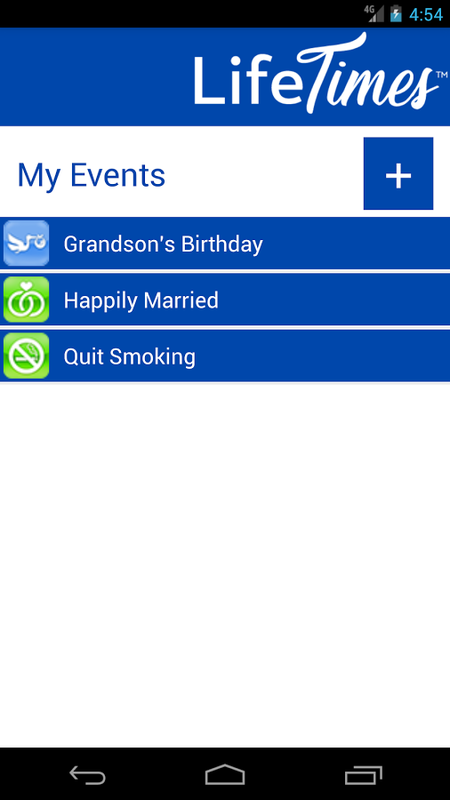 It’s an app which is used to track your life events and share your milestones on Facebook. This app has been developed by R.A. Simon and it has been compatible with all the latest version of Android Smartphones. Once you download this app, you can start using it by adding some details, such as event name, date, time and place. Then you can Sign Up on the app and start getting automatic notifications regarding your events, etc. You can add photos or choose from an existing Gallery to describe your Life event also. You can treasure important events such as birthdays, anniversaries, marriage, reunions and much more. Upon entering the events, you’ll get to know about the time since the event occurred, next milestone, when the next milestone will occur on and time left until milestone. You can also import events from other platforms such as Google Calendar and share your achievements via Facebook so that your friends can cheer you up! You can celebrate your lifetime, which is made up of seconds, minutes, hours, days, weeks, months and years. For example- you can call an hour as 60 minutes, 3600 seconds. In the same way you can express your life events using the time- based achievements. But, you need to add the frequency of milestone alerts and you’ll be notified when there’s a month, week, day, minutes or whatever time measurement is remaining. Isn’t it cool? Not only your past events, but you can also start a countdown to an important future date such as New year, baby shower, etc. Yes, you can do, so that you’re always aware of how much time remains until your special event. With his app, you’ll not get a chance to miss any event hopefully! There may be a lot of event tracking apps, but the main thing which distinguishes it from others is that it automatically adjusts for time differences from where the event originally took place to where you’re now. For example- your baby was born in New York, but on his first birthday you’ll be going to India. 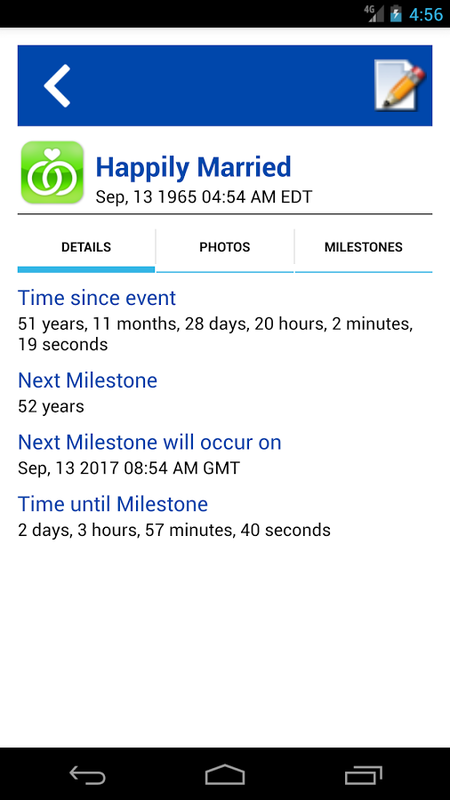 So the app would automatically compensate for time zone differences between where you were born and where you’re now as each milestone approaches. 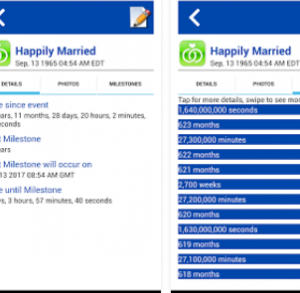 In a nutshell, I would say that Life Times Of Celebrations is the best life event tracking app which actively tracks everything special for you. So enjoy your life and every bit of it! Pros: #1 event tracking app; notify you about the events; track past as well as future events; time-based achievements; adjusts various time zones; easy to use; share achievements via Facebook; free.